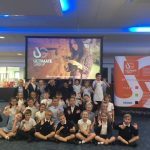 Only a few weeks after Ultimate Digital’s latest innovation Kids Ink™ was launched it has been shortlisted for ‘Innovation of the year’ and ‘Flexible plastic pack of the year’ at the 2018 UK Packaging Awards. Kids Ink™ is a web to print platform that allows children to design a completely unique personalised lunch bag, with the purpose to educate children in being environmentally friendly, but in a fun, creative and interactive way. 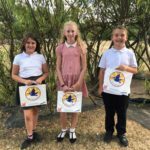 This fantastic project has brought together the expertise of three UK based companies, Ultimate Digital, B&G and Addmaster, to produce these eye catching bags that kids have described as “cool” , “amazing” and “extravagant”. Ultimate’s close partner B&G convert the digitally printed film and attach the handles to produce unique kid’s lunch bags. The bags are also lined with inbuilt Biomaster antimicrobial protection which inhibits the growth of harmful bacteria to grow on surfaces. This means that the lunch bags can be reused time and time again. Kid’s Ink™ is expected to take the new school year by storm giving schools a tool to produce fun and interactive lessons.